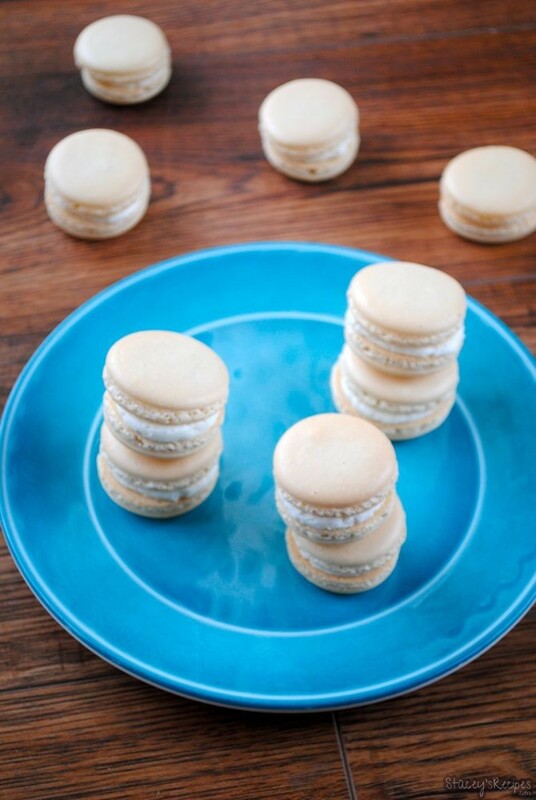 Have you had a macaron before? I hadn’t tried one until I made these the other day. These are amazing. They’re light and fluffy with a slighty crispy exterior, and they’re filled with a creamy vanilla buttercream. The receptionist at the salon I work at has been bugging me for weeks to make these for her. Since it was her birthday the other day I figured why not give them a go. I’m not sure about where you live, but in Victoria macarons are extremly popular. I brought these into work yesterday and they didn’t even last until 1! 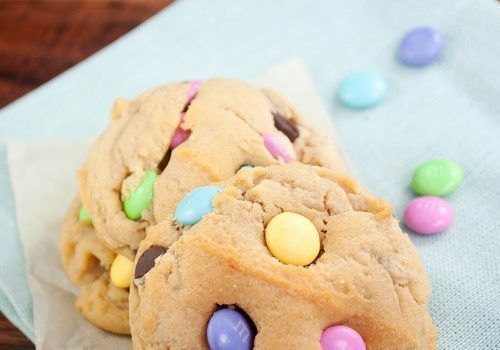 Now these can be a bit tricky to make because you don’t want your batter to be too runny or too thick, and you want them to have those little “feet”. These are a great little treat, they pair well with a cup of tea or coffee. 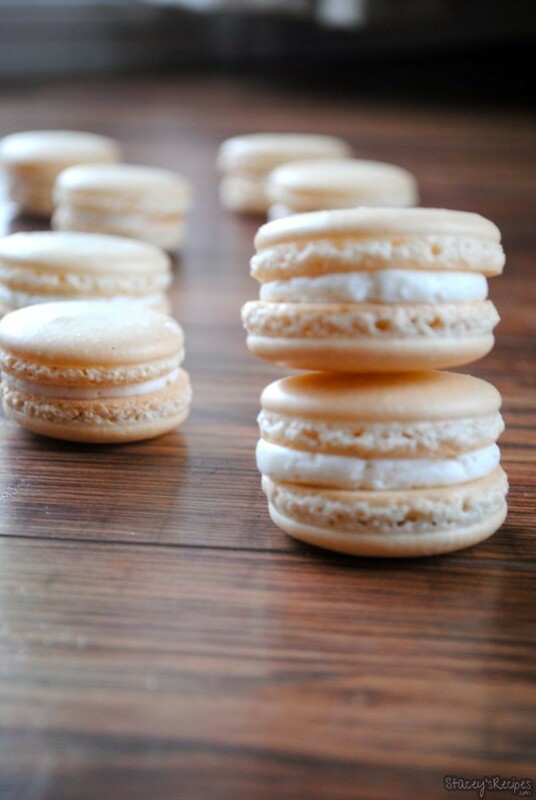 Whether you’re a fan or macarons, or haven’t tried them before, I highly suggest making these. Do you have a favourite flavor? Let me know below! In the bowl of a stand mixer, pour in egg whites, salt, and sugar. Set timer for 3 minutes and beat at a medium speed using the whisk attachment (4 on my KitchenAid). Once the 3 minutes are up turn it up about 3 notches to speed 7 and beat for another 3 minutes. Once those are up turn it all the way up on high and beat one last time for 3 minutes. While your egg whites and sugar is mixing, sift your almond flour and powdered sugar into a medium bowl. Once all is sifted you should have some small bits of almond that were too large to pass through. 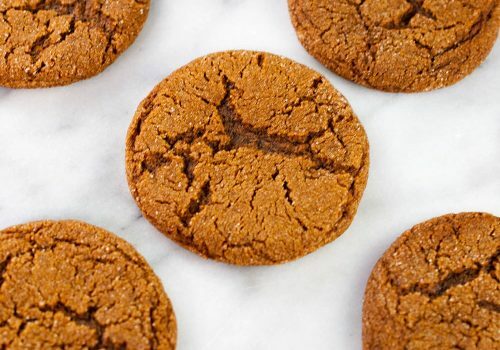 If there is a teaspoon or less you just leave them out, if there is more you will want to send them through a food processor to grind them up before pouring into the batter. Once your egg mixture is done beating, add in your extracts and beat for 30 seconds, scrape sides down and beat for another 30 seconds. 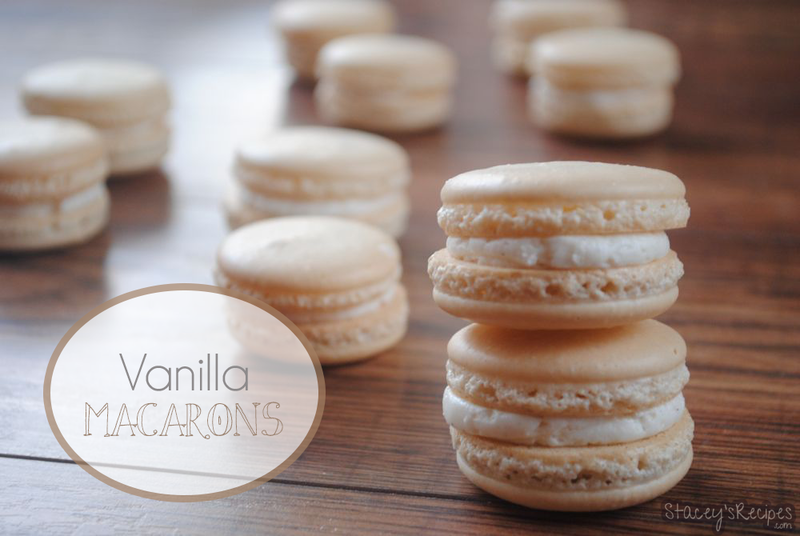 Add your dry ingredients into you egg whites, you need to mix carefully to make sure it has the right consistency, or you will end up with flat or dry macarons. Using a spatula fold in your dry ingredients in a swooping motion making sure to scrape the sides and bottom of the bowl. At first it will seem really thick and clumpy but it will smooth out quick. You want a thickness that is still thick enough to hold a little shape but thin enough to fold back into itself. It took me 30-35 turns with my spatula to get a good consistency. Fill your piping bag with the filling and pipe 1 1/2" circles on your silpat - you will have slight peaks at first and by about the fifth circle you've piped they should flatten out. 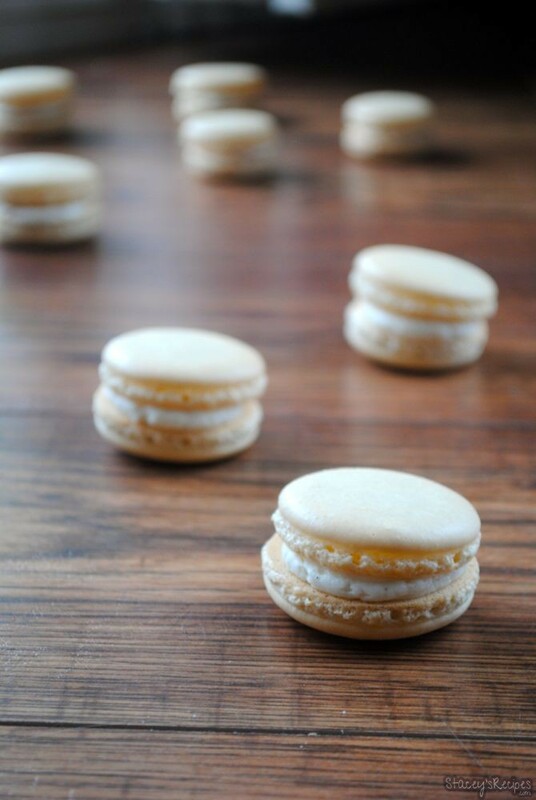 Preheat your oven to 295 degrees and let your macarons dry on the counter for 25-30 minutes - I accidentally left a batch on my counter to dry for an hour and a half and when I put them in the oven they seemed to make no difference. 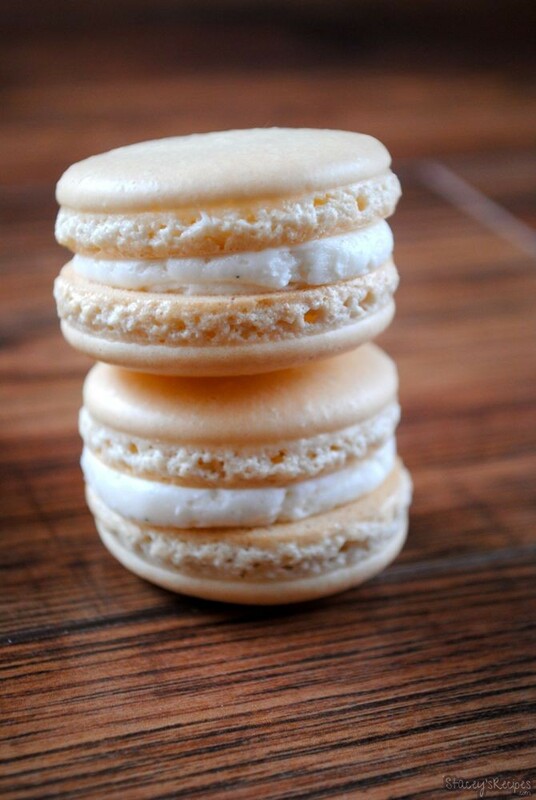 After about 30 minutes your macarons should have a slight "crust" on them - they shouldn't stick to your finger when you touch them. Bake for 15-17 minutes, depending on size. Once they're fully cooked allow to cool completly before removing from your silpat or parchment paper. Once fully cooled pipe your filling and sandwich together. Using your stand mixer or hand mixer whip the butter on medium speed for 3-4 minutes. 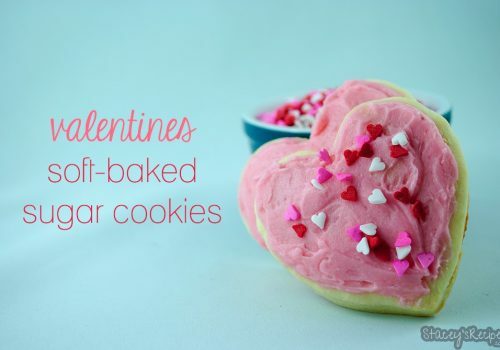 Slowly add in 1 cup of the sifted powdered sugar, mix until combined.Add the vanilla & butter extract and the last of the icing sugar and continue mixing. Add in 1 tbsp of the heavy cream at a time until the consistency is right. Once all is added beat on high speed until light and fluffy - at least 2 minutes. You want the frosting nice and creamy, but for it to be able to hold a point at the same time. 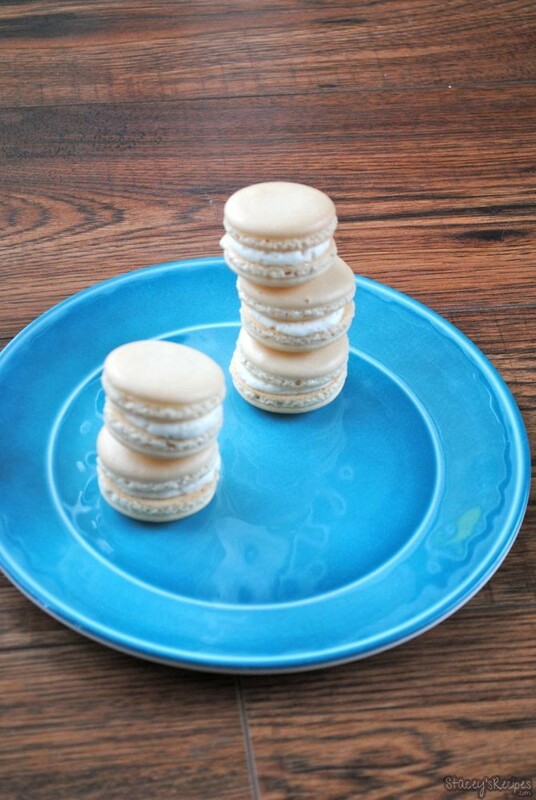 Match your macarons in pairs according to size. Using the same Wiltons 12 tip pipe a small circle of buttercream on one side of the macaron and carefully sandwich together - making sure not to squish them. For the filling it calls for 2 cups total. I usually start by adding half(1 cup) and getting that mixed together then I’ll add the rest(1 cup). how many macaroons does this make? 36 cookies or 36 pairs? Do I have to use butter extract or can I just use 2 teaspoons of vanilla? Is powdered sugar icing sugar as in the buttercream??? Will it be effected if you don’t use butter extract?? Thanks and you can replace butter extract in the buttercream right?? Do you use the butter extract in the buttercream because the ingredients say you need it but the instructions don’t say to put the butter extract in the mixer?? Hi Kylie. I add it but if you don’t have any you can omit it for extra vanilla extract. In the ingredients of the buttercream you say you need butter extract but in the instructions you never say to put the butter extract in. I am confused? !